I was blessed with the amazing opportunity to travel to Nigeria on a medical mission. On my team were two experienced nurses, Anne and Sandy, and one of my closest friends from college, Brooke. Going into this, I really did not know what to expect. I knew that electricity would be scarce, if any at all, water would be limited, we would see devastating poverty and I would come home from this experience a changed person. All of that was true. The poverty was heart-breaking. Trash lined the streets with goats digging around scrounging for food. Young children walked around barefoot with little clothes on, if any at all. Women were seen walking with water on their heads and a baby on their backs. My experience is really hard to explain, let alone write about. I am not saying this to offend any of you, but you just won’t understand, as many of you have not been to a third world country. 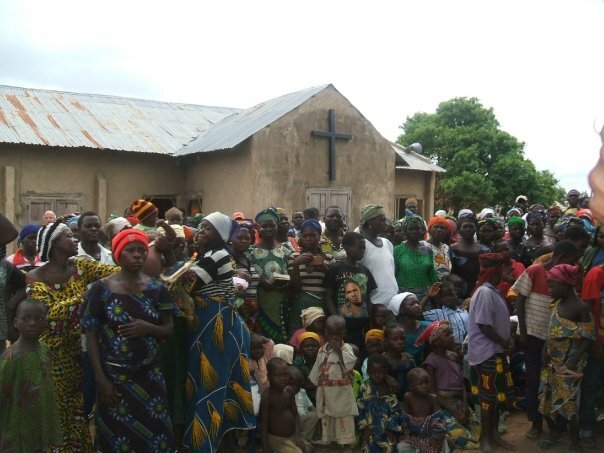 The medical team was stationed in Zing, Nigeria at the United Methodist Compound. Living within the compound was Dr. Avar (the eye doctor) and Dr. Deo (the medical doctor). Also In the compound was the hospital, the eye clinic, the UM guest house (which is where we stayed). 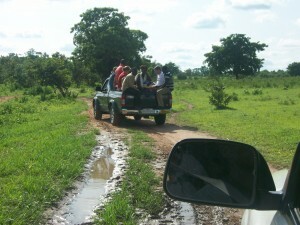 Our first weekend in Nigeria, we had the opportunity to travel to a rural village to spend the night. Bargami is located in the bush (aka: rural Nigeria). It took us about three hours to get there, including about an hour and a half (6 miles) on this terrible road, which included lots of huge bumps, large puddles of water, and at times the vehicles felt like they were going to roll/tip over. We were welcomed with an incr edible ceremony I have ever experienced. The entire village came to greet us; waving, singing, dancing as we pulled up. They immediately swarmed our trucks, making getting our very difficult. I have never had so many people wanting to shake my hand or touch me. 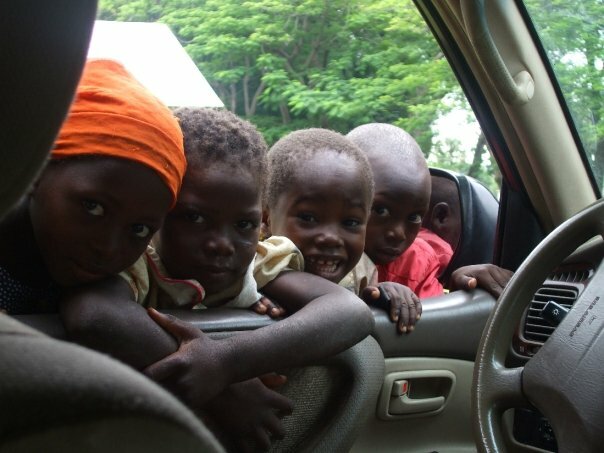 Where ever we went within the village, there were always children crowded around us. I had a really hard time with all that at first, but it got easier as the weekend went on. That night we danced under the stars until the wee hours of the morning with the people from the village. It was one of the most amazing experiences I have ever experienced in my life. It was incredible to have all these kids around; dancing and holding my hands-we were united together. I will never forget the moment when I looked down and could only see white teeth-children smiling; it gives me chills just thinking about it again. 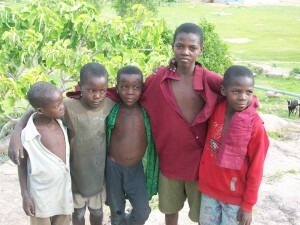 This picture was taken right before we left to head back to Jalingo. Dr. Deo is the medical doctor at the rural health program (RHP) in Zing. He did his fellowship at the RHP and came on as the staff medical doctor in April 2009. He is the sole doctor at the hospital and he does everything from admitting patients, to rounding everyday to performing all the surgeries. He is one of the most amazing people I have met. His vision for the hospital is wonderful and he is trying to focus a lot of his time and money on the maternity clinic. His goal is to educate women about the importance of accessing health care when they come in for their prenatal check-ups. Currently, there is a person in the states that is providing his salary for one year, hoping within a year the hospital with be self-sufficient, bringing in enough funds to pay Dr. Deo’s salary. Our team was donated $1000.00 to use to sponsor patients who would die if they did not receive medical treatment. Dr. Deo approached us with two patients in dire need of medical attention, but their families could not afford it. 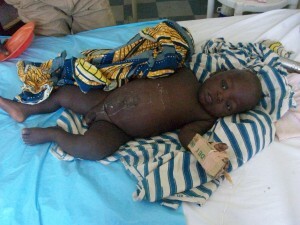 Patient A was a seven month old baby with a possible bowel blockage. He needed surgery if there was any chance that he would survive. 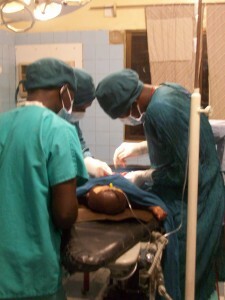 That night Dr. Deo performed bowel surgery on the infant and we got to be in the operating room observing. It was a really neat experience. Dr. Deo explained what he was doing and what he was finding; he even kept telling us to get closer to the table, so we could see. At first he thought it was a blocked bowel, and then he thought it was a congenital bowel defect. After he had the entire bowel out of the infants abdominal cavity, and he searched all of it for a blockage, he concluded that the bowel was twisted. As Dr. Deo squeezed the contents in the bowel, the baby had a stool. We were all really happy that nothing more serious was wrong. Patient B was a woman who had miscarried, but she waited a few days before coming to the hospital. By the time she arrived, the tissue and fetus had begun to rot, causing her to become septic. 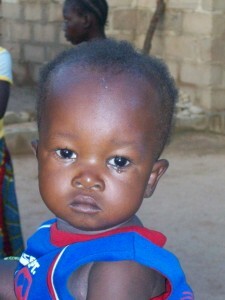 She was very sick and needed IV antibiotics, but like the previous patient, her family could not afford the medication. This was such a magical moment. We not only saved one life; we saved two lives. 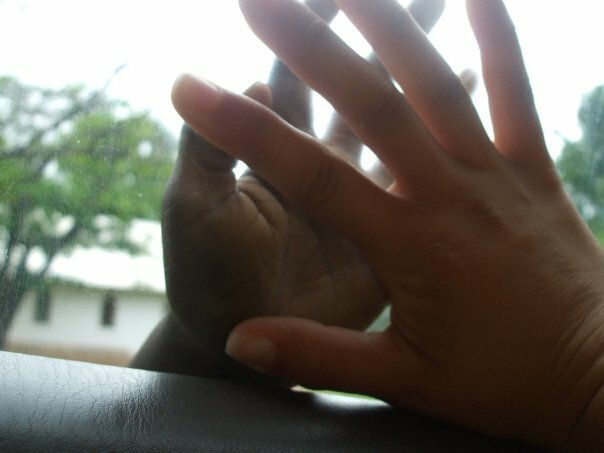 Each of us on the team had the opportunity to go to a rural village health clinic, we went in pairs. Anne and I went to Casaw. 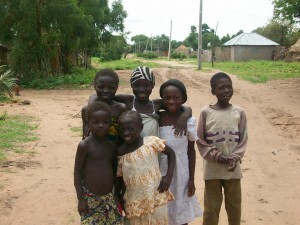 I saw a lot of malaria, UTI’s, and back pain from farming. This was quite the experience. There were hundreds of people waiting to see us, and sadly, we did not get to see all of them. Luckily we were separated by a door to the people waiting, and we had people guarding the door, doing crowd control; it was a mad-house. On my first day in the RHP, Dr. Deo took me to see his ‘tiniest patient’, a baby girl born at 23 weeks, weighing 1.3kg (2.8 lbs). 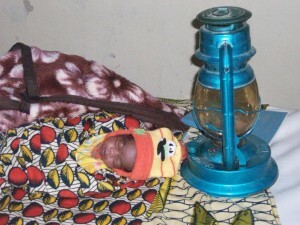 The baby miraculously started breathing on her own and to keep her warm, they are using a lantern. This was very foreign to me. As a team we discussed putting our extra team money towards an incubator. However, as the week went on, I thought about this infant and lantern a lot. I realized that an incubator would not be a good idea for them. They (the RHP) do not have consistent electricity, and what they are using today is working for them. When this picture was taken, she was very sick; she was septic. 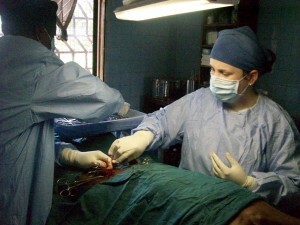 I had an incredible opportunity to scrub into surgery with Dr. Deo. This was such an amazing experience, and an experience that I would have never have had here in the states. I was really nervous, as I have never had this opportunity before. Dr. Deo would just tell me to calm down and breathe. He said, “You can never freak out during surgery that is not good for the patient”. Later that night, I found out that Dr. Deo thought I got sick because of the blood… BUT that was not the case….I was sick and was sick for 6 days after this. After we had spent a week in Zing working with Dr. Deo at the hospital, we went to Pero, Nigeria with Dr. Avar and his team to hold a week long eye camp, where Dr. Avar would do sixty-five free eye surgeries in two days. My team’s job was to screen all of the patients. If they had a serious eye problem (cataracts, glaucoma, entropion or some other condition that we were not familiar with) we would refer them to see the Dr. If they needed reading glasses, we would refer them to John to get fitted with glasses and everyone else, we wrote prescriptions for. We saw a lot of bacterial infections, corneal scars, allergic conjunctivitis, cataracts, glaucoma and foreign bodies in the eyes. In four days, my team saw 825 patients, so 1650 individual eyes, and that was just the icing on the cake, and in two days Dr. Avar did sixty-five FREE eye surgeries. This week was really rough for me. By the end of our first day there, the surgery schedule was full. 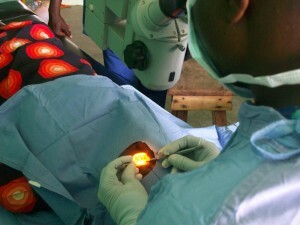 So the patients we saw Tuesday-Thursday didn’t even have the chance to have free eye surgery. So here I was telling these people that there was nothing I could do for them and they would be blind unless they had the money to travel to Zing, where the eye clinic is, and then also pay for the surgery. It just tore me apart. Another thing I really struggled with was the translators. As a nurse, patient teaching is a huge part of our job. Just about anyone can be taught skills (staring IV, inserting catheters, etc), but is the ability to educate the patient about their condition or medication that makes a nurse a nurse. When I would tell the translator what I wanted her to translate to the patient, she would just look at me, and hand the piece of paper to the patient and send them to pay. That really frustrated me and it made me feel like I was failing as being a nurse. Our living quarters in Pero was something to be desired. The house had hornet nests, bats, cockroaches and lizards. On our first night there, Brooke and I, well and the rest of the medical team, did not realize when we went to bed that our windows did not have screens on them. The generator (providing lights) was on and stayed on until about 0100. Around 10:30 that night, swarms of termites came flying into our room. These are not the termites we have here-these were B52 bombers/termites on steroids. They had FOUR wings and the wing span was about 1.5 inches (and I am not exaggerating). 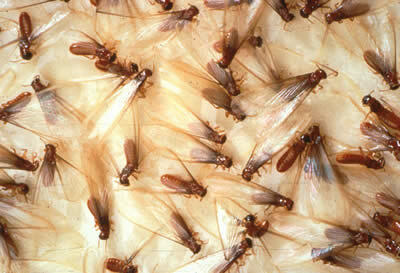 This picture is not of the termites in Nigeria, but it will give you a hint as to what we dealt with. They were everywhere in our room, on the wall, on the floor and on the outside of our mosquito net. Luckily Brooke and I were sharing a bed or else I think I might have died, cardiac arrest, no joke, it was very traumatic for me. Just writing about this gives me the eeebbbee-jeebeess. At first I entitled the list “Things I miss from home”; however, after some deep thought, I thought a lot on this trip, I decided to change the list to “Things I am blessed with at home”. I am still having a really hard time wrapping my mind around what life is like here, and I am only here for three weeks; life is not easy. It makes me realize how blessed I am to be an American. However, at the same time, I feel guilty with my life back home. But then I remember that God is in control and He has a plan for each and every one of us. We are each blessed in our very own unique way. The more I thought about life and the whole meaning of life, I concluded that, in my opinion, the Nigerians are way more blessed than I am. They have and know the love of living with their entire family, they are happy with what they have, as they don’t know any different. They don’t dwell on material stuff; they are in survival mode, striving to make it through one day at a time. It has been really hard to come back home. I am a changed person, but no one else in my family has experienced what I have. We have so much and we waste so much. I am disgusted of all the food in my refrigerator; it drives me crazy when lights are left on. I have realized that as a country, we are too materialistic and we have way too many choices. We do not need thirty choices of bread, cheese or chips, etc. Going to Nigeria made me realize how complicated the United States has become. I am not sure I will go back to Nigeria in the future. It was very challenging for me, emotionally, physically and spiritually. However, I do know that for the rest of my life, I can and will donate at least $25 a month towards the RHP. Nigeria is no longer just a country it has a face, many faces-beautiful faces. Nigeria is a country that a really long ways to go. Their health crisis is something is not going to be fixed over night. Please join me in praying for Nigeria and the people of Nigeria. If anyone would like to look at some more of my pictures, here is my Facebook link.